Just as the school year was getting underway for our community, we greeted a new group of friends for a brief exchange student program. 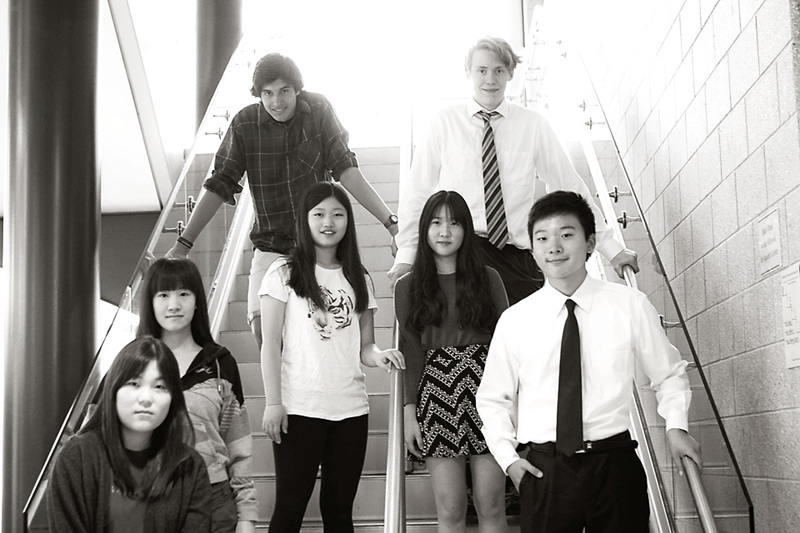 While Jenison Public Schools has a rich and diverse history of welcoming international students over the past 30 years to Jenison High School, this short term experience is fairly new and slightly different. In the 4th year of our partnership with the Rotman Education Technology Group, it was an absolute privilege to welcome 23 students from Beijing#12 school. These students are in their Junior year and already part of an international program, giving them some amazing global study abroad experiences. They arrived on September 27 and met the families with whom they would live. In true Jenison fashion, these amazing, hospitable folks embraced them with open arms. We cannot thank these families enough for opening their homes and caring for these students so deeply! Between choosing and attending classes, field trip events and Homecoming celebrations, the Beijing students had a packed (but fun) schedule. Attending American high school gave them a taste of American teenage culture and they learned alot about the cultural differences between America and China. The Beijing students also felt that they gained confidence in speaking English with their new American friends, which they think will be beneficial in continuing their studies in China. A huge thank you to our Jenison students who took the time to get to know their global peers and help them along during their days. Beijing #12 students at the start of a very busy two weeks. Many use this short term trip to decide if they’d like to return to the states for a long term exchange program. Beijing students visiting downtown Grand Rapids for ArtPrize. Another favorite outing was shopping at the local mall for souvenirs to bring home. The enjoyed participating in Spirit Week leading up to Homecoming. Here they are, all dressed up and very excited to experience the 2018 Jenison Homecoming dance. There’s no doubt that the students from Beijing benefit greatly from this program; but what about the students that call Jenison “home”? Emily Kaminski and a Beijing student at the closing ceremony. There is much to gain and so many life lessons to be learned from each other through programs like these. We are eager to broaden horizons and build meaningful and lasting relationships with the students we are privileged to serve – domestic and abroad. As Emily said, when we take the time to see each other as fellow people, it simply puts us in a position to make the world a better place, that’s a win-win and worth every effort. To see many more photos and videos of the Beijing #12 visit, check out the Rotman Education facebook page. As the Jenison student exchange programs continue to grow, the need for Host Families (short and long term) grows as well. 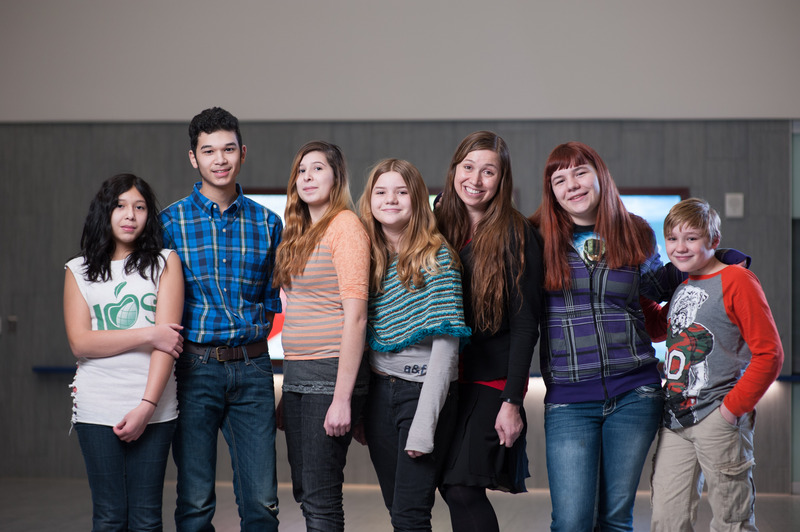 If you’re interested in learning more or becoming a Host Family for one of these brave international students, please contact Jessie Clay at studentsupport@rottech.org or (616) 228-4495. China Comes to Jenison for Winter Camp! 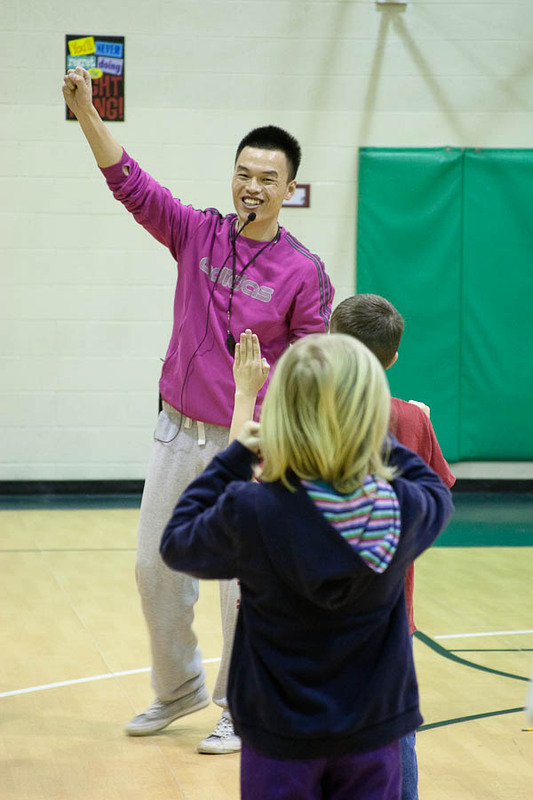 On Saturday, February 27 Jenison and the Jenison International Academy welcomed 33 high school students from China for a three week “winter camp”! Beijing No 12 is a partner school of the JIA and a few years ago they started an international program for their high school students whose intent it is to eventually study in the United States for college. Within the program these students learn almost exclusively in English and all of the current students agreed to spend three weeks in the US to expand their education. They are joined by their Asst Principal Mr. Jin, Head Principal Mr Li as well as a math teacher. The Chinese students are kept very busy during their stay! The cohort is split into two groups for their school day to make it more manageable for teachers. Half of the group will be in JPS classes for the first half of the day and the second half will be meeting with JIA teachers doing their English course and after lunch they flip flop. Every day from 3 – 4 pm they are visited by guest speakers from the community, students on various athletic teams and clubs, and teachers and professors from GVSU. All of these visiting speakers give the students an opportunity to connect with and learn from various aspects of American culture. Additionally, from 4 – 5 they participate in SAT prep. In the Chinese educational system students aren’t given many options when it comes to their classes and learning paths. However, this program allows the visiting students to choose Jenison classes that would be new to them such as “America at War” and “World Religions”. They are also giving glimpses into their personalities by perhaps choosing all social studies classes or all art or science. “They’re selecting classes that they wouldn’t otherwise have the opportunity to learn.” The adults will also have unique learning opportunities. Assistant Principal Jin will spend time with JPS Asst Principal Joe DeVries and both he and the visiting math teacher will attend the Macul Technology Conference with JPS teachers at the Amway Grand Plaza. Amidst all the learning, snow days and 71 degree weather, the students are also able to participate in some fun, West Michigan activities such a Jenison vs Grandville home basketball game, a visit to Rivertown mall and lunch in the food court, dinner downtown and a Griffins game as well as seeing the Jenison High School musical, Shrek. Thank you to everyone involved in making this a safe, challenging, educational and fun experience for our guests! We couldn’t do it without all of you and it’s been a great way for the students of Beijing No 12 to get to know the US! Whether you’re new to JPS or just always been curious about JIA, we are excited to bring you some of their highlights for Fall 2015! The Jenison International Academy is a fully accredited online school providing to elementary, middle & high school students throughout West Michigan and around the world. All courses have a state certified, highly qualified teacher instructing and issuing credit. • Jenison Public Schools, with the approval of the Michigan Department of Education, operates a local district seat time waiver program operated through Jenison International Academy. This gives us the opportunity to provide a unique and individualized online learning program for our community and surrounding counties. In past years, JIA has served students in grades 6 – 12, but this past summer the State of Michigan approved JIA to offer an elementary program as well. For the 2015-16 school year, JIA will serve grades 1 – 12, adding kindergarten programming in the following year. Benefits of our online program include participation in Jenison athletics, fine arts programs and clubs. • JIA strives to produce students that are prepared for future college and career experiences. We are pleased to announce that all core HS courses were recently approved by the NCAA, indicating that our courses will prepare college-bound student athletes for the rigor that they will face in college. All courses meet NCAA eligibility requirements to allow Division 1 and 2 athletes to participate in our online courses. • By promoting local development of courses with local teachers accessible for students, JIA continues to work to enhance the quality of online courses for our students. To do this JIA staff continues to develop original curriculum using the Blackboard Learning Management System. JIA now has all core curriculum and the majority of elective courses hosted on our personal Blackboard platform for grades 8 – 12. (jpsonline.blackboard.com) This allows teachers to modify and personalize curriculum, while providing great and enhanced access for students. Also, during the Fox 17 Football Blitz show that previews High School football, JIA aired its own commercial! Be sure to check it out here! Thank you to the team at JIA for working to provide a unique and competitive learning environment for our students in Jenison and beyond! Our Jenison High School students are already offered challenging curriculum with talented teachers, state of art facilities, and rigorous athletic opportunities. 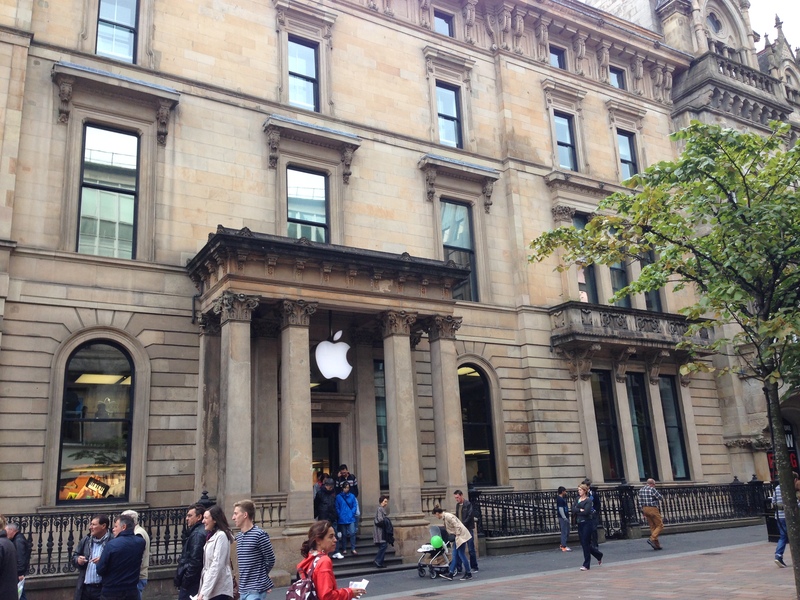 And now, they may also select the option of pursuing a course of classes approved by the Scottish Qualifications Authority [SQA], with the choice of studying abroad after graduation. The SQA is a globally respected organization that sets forth various requirements for accreditation, similar to the Advanced Placement system that operates nationwide. The existing business courses at Jenison High School already boast articulated credit with area colleges and universities; the SQA endorsement is simply one more layer of credit opportunity for students taking business courses, now having an international selection. Led by Rebekah Redmer, Executive Director of the Jenison International Academy and Dr Brenda Clark, Career Technical Education Director, the district application process was completed over the span of many months. We are very proud to share that Jenison is now the 1st operating center approved by the SQA in the United States and is the first High School in the world! 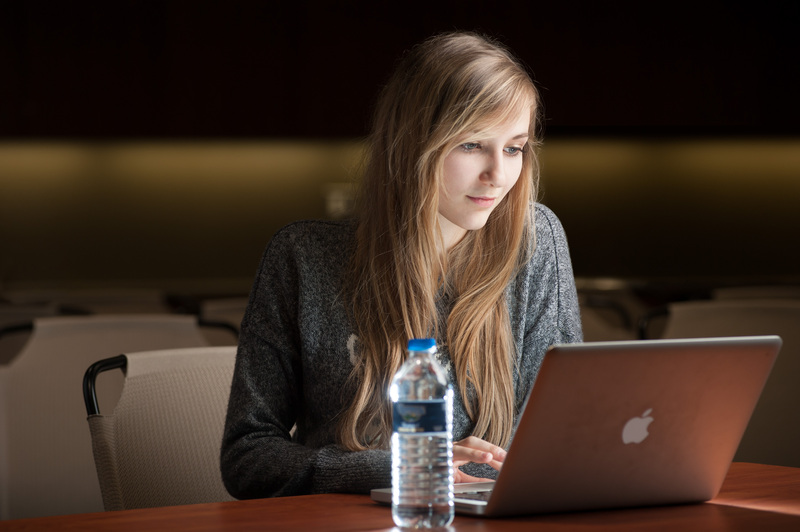 For the first year of operation, Jenison students interested in pursuing business as a course of study, may begin the SQA added certificate by taking one or two courses in business their freshman or sophomore year. During the years that follow, students could take a succession of elective business courses that range from Marketing, to senior level math Accounting. When they complete the seven required high school courses, of which also count toward Jenison graduation requirements, they will earn a Higher National Certificate (HNC) from the SQA. The HNC is the equivalency of the first year of college in Scotland. At graduation, these students will receive their formal certificate from Scotland, along with a Scottish crest on their gown. As a next step, students may elect to go directly into year-two at any of the SQA international centers that have been approved throughout in the world, or enroll at a US college or university. All of the centers offer the exact same qualifications. In Scotland specifically, the cost of higher education is very affordable as students and parents have already saved on the first year. 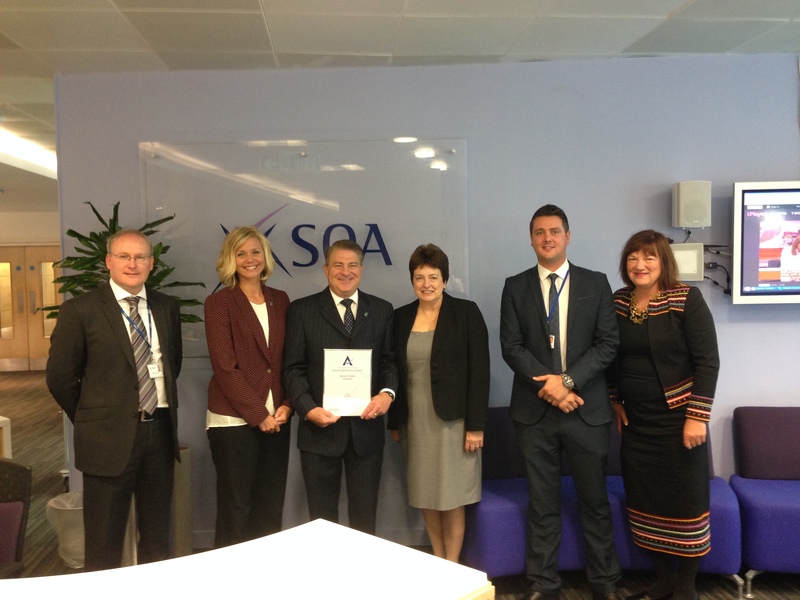 Superintendent, Tom TenBrink, Brenda Clark, and Rebekah Redmer made the journey across the Atlantic for a brief trip this summer and were able to meet SQA leaders and visit a Scottish College and University: Glasgow Clyde College located in the city center of Glasgow, and Perth College located in the highlands. Ten Jenison High School students participated in an Induction on September 15 and next semester there is an anticipated 10 additional students joining the cohort. 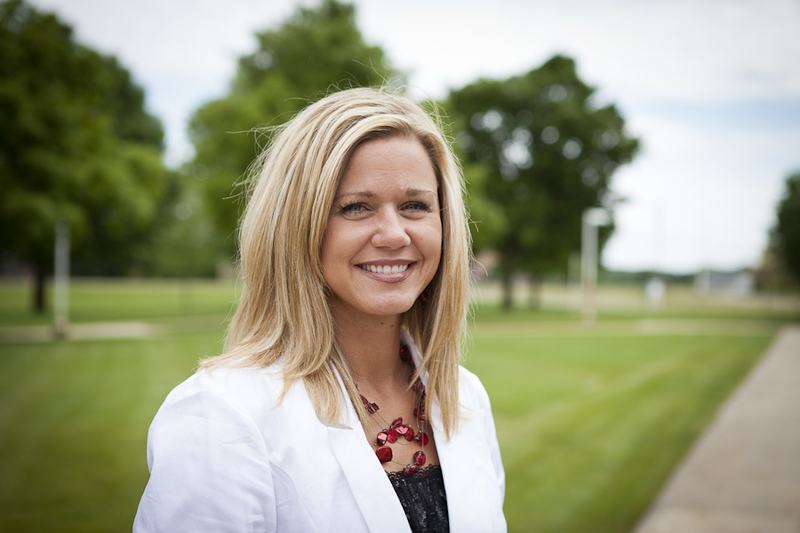 They will work under the guidance of Dr Clark, who acts as the Internal Verifier with teachers, assessments and mentoring, and Rebekah Redmer who will act as a liaison between Jenison and Scotland. Becky Redmer [2nd from left], Tom TenBrink [3rd from left] and Brenda Clark [far right] with SQA staff in Scotland this summer. This past February the Jenison International Academy [JIA] had the opportunity to visit Grand Rapids Community College and integrate online learning with some hands-on experience. The Jenison International Academy currently serves eight counties in the West Michigan area providing full-time online education for students in grades 6-12 and is in its fourth year of operation. 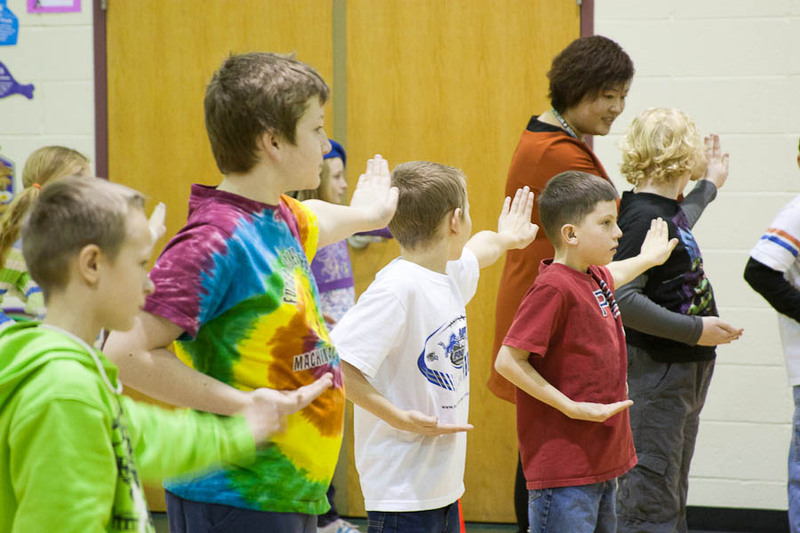 JIA continues to expand its programming, acting as a curriculum provider for local districts in West Michigan. Kristin Graham, JIA Principal shared the details of their February 7th lab and the students experience at GRCC: In an effort to provide hands on opportunities for students who participate in virtual courses, JIA has partnered with the Biology faculty at Grand Rapids Community College to provide lab opportunities for our students. Ninth grade Biology students met on the campus of GRCC to complete a DNA fingerprinting lab. Biology faculty and current GRCC students hosted the lab in order to teach students the basics of restriction enzymes and how they are used to cut DNA samples in order to determine DNA sequences. This process, called DNA Fingerprinting is often used in the judicial system. Students were provided with a simulation in which they performed a gel electrophoresis to see which of the suspects was most likely to have committed the crime based on DNA evidence collected at the crime scene. Following the completion of the crime simulation, students were challenged to isolate a DNA strand from their own saliva. A buffer solution was used to extract a visible mass of DNA cells and students used toothpicks to pull a thin strand of DNA from their test tubes. In the future, JIA students will visit GRCC science labs once per semester in our Biology courses to complete activities relating to their online coursework. Another exciting milestone for the Jenison International Academy is their new home! 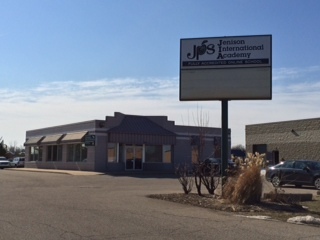 The first week in April, the JIA officially transitioned into their new facility at 7506 Church Ct., the building formerly used as the temporary offices for the Administrative offices during the construction of the Jenison Center for the Arts building. The new facility houses our administrative and instructional staff offices as well as a teaching lab/conference room and learning lounge for students to utilize throughout the day. New home of the JIA! The Jenison International Academy is an unique and important element of the fabric of Jenison Public Schools and we’re proud to watch it grow and continue to impact our community and beyond! Last week, a team of five Chinese teachers were welcomed in grand, white Michigan winter style, to the halls and classrooms of Sandy Hill and Bauerwood Elementary Schools. For eight days, these teachers were invited to participate fully in the learning opportunities that Jenison Public School students enjoy each day they walk through our doors. 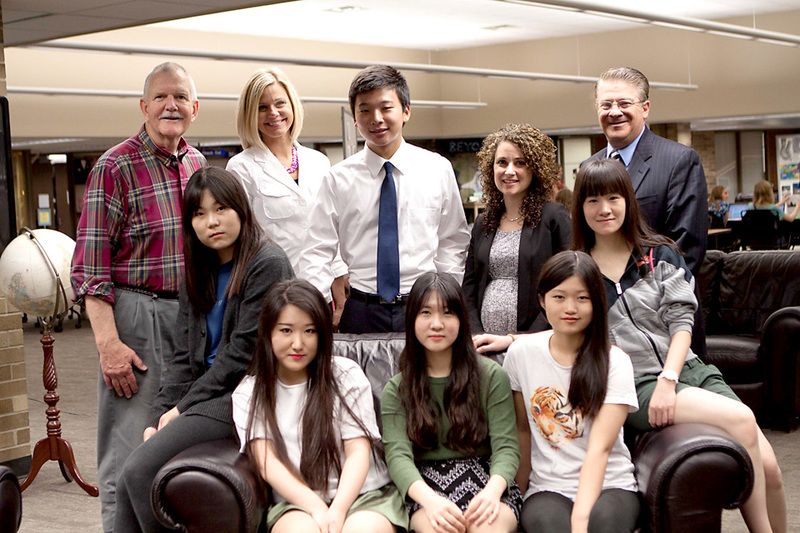 In cooperation with JIA Director Rebekah Redmer, Bauerwood Principal Crystal Morse, and a team of others, this group of eager professionals observed and taught Jenison students in preparation for a possible partnership between their Beijing school and ours. “We’re exposing our students to new cultures, giving them a greater global perspective and increasing their understanding of diversity. The kids have been so conscientious while our guests have been here. We’ve seen a greater amount of citizenship because they know that they’re not just representing JPS, but the United States of America! They’re demonstrating a lot of respect for our Chinese friends…it’s been wonderful to see,” said Mrs. Redmer. Mrs. Redmer first met these Chinese teachers last June when she, Superintendent TenBrink, and a handful of others first traveled overseas. This initial visit was followed by a second trip later in the summer which gave a team of JPS teachers the opportunity to lesson plan, teach, and interact with Chinese students in their environment. Bauerwood kids learning taekwondo in gym. “In China the teachers do not collaborate or work in partnerships, so for them, seeing how we “do school” is very different. They’re learning new systems and methodologies by watching our teachers prepare lessons and differentiate their instruction. Mrs. Jun (pictured right) is a teacher determined to change the atmosphere of Chinese schools. Her sweet demeanor and kind smile are hints at the heart she has for children. 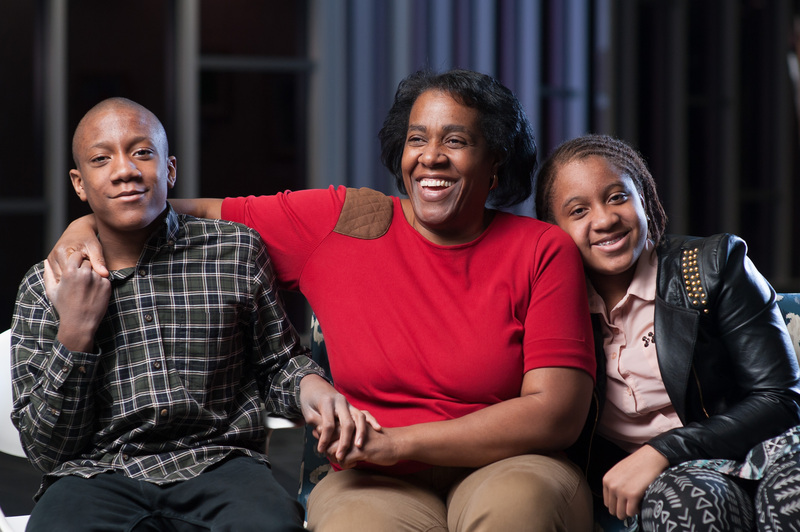 During the time she spent with JPS host families in Michigan, she and the others enjoyed home cooking, a trip to the symphony, ice skating at Rosa Parks Circle, and more. 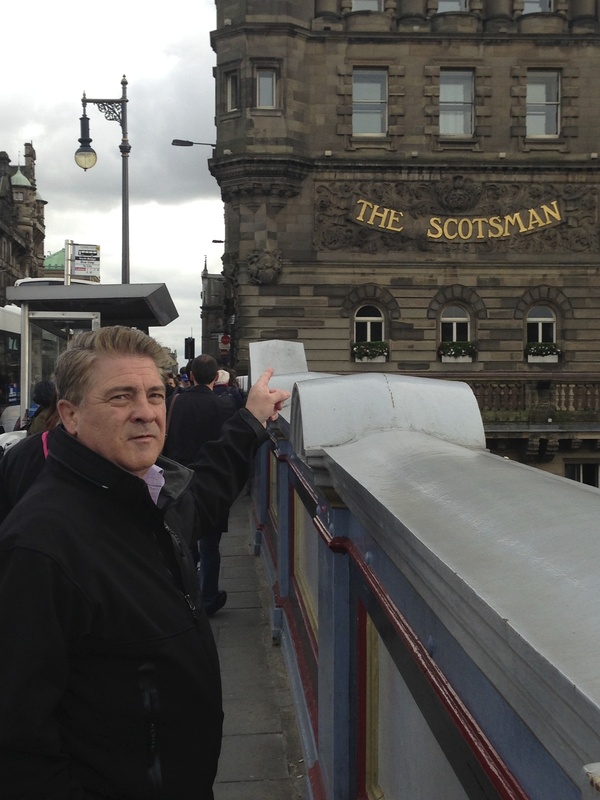 “I’ve loved the atmosphere here. People here are very kind and helpful. It is very easy-going. In China it is very serious. We have many more examinations. Children here are happier. 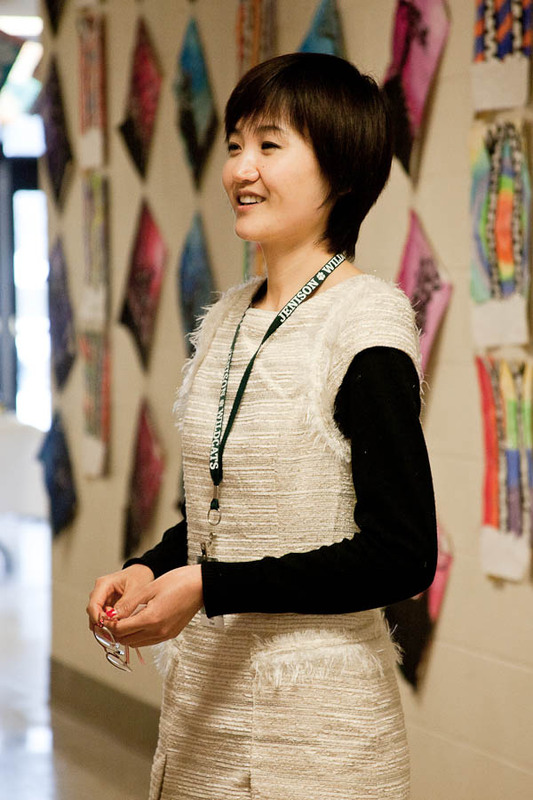 They learn abilities and skills — not just bits of information,” Mrs. Jun reflected. Because many Chinese parents are noticing the same, there is currently a big push to internationalize schools. That’s where JIA comes in: we believe that our schools possess the level of excellence demanded by the Chinese, and in today’s world of information technology, we have a way to bring our expertise to their doorsteps. Just as importantly, we also believe that the way we seek to capture kids’ hearts each day can revolutionize the classroom experience of Chinese students who are waiting to be transformed by the efforts of personalized education. It used to be that occupying a seat in a traditional classroom was the only way to emerge from school with a quality education. It used to be that learning was centered around a blackboard and a pile of books. Learning still happens that way. Books and blackboards still open minds and chart pathways into new futures. 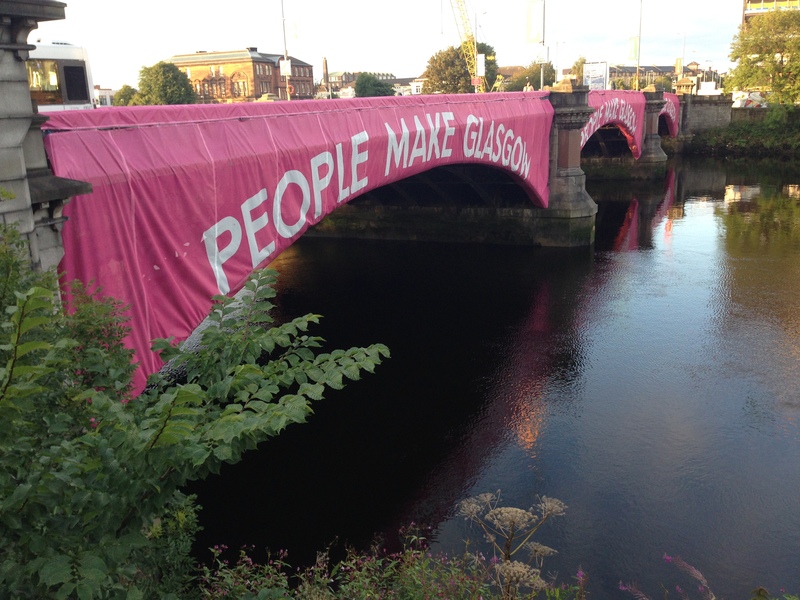 But for some, learning works better if it can happen another way. 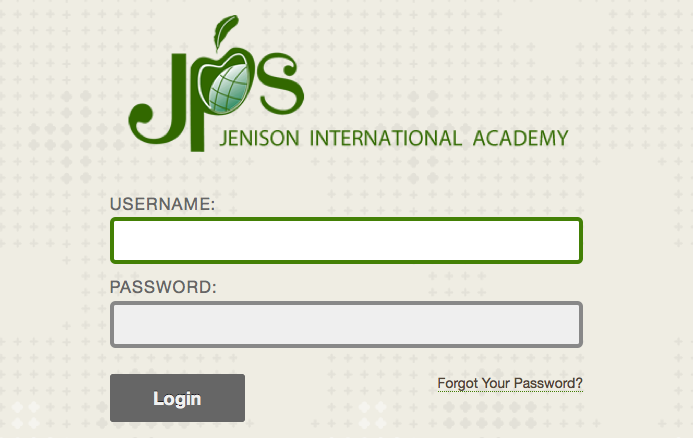 It was for those students that Jenison International Academy was created. Jenison International Academy (JIA) is an online school that offers a personalized education program to students who are looking for an at-home learning experience with their parent acting as a learning coach. JIA students might include those who have struggled in a traditional classroom or those whose academic gifts have outpaced their classmates. Whatever the reason for enrolling in JIA, students find the opportunity to spread their wings in a new way, in a new place: at home! 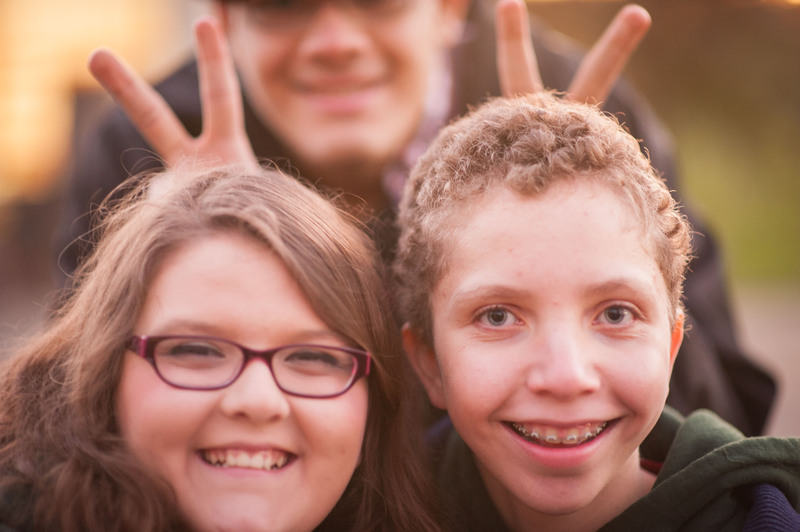 JIA students have the extra benefit of having access to guidance counselors, school-to-career pathway support, ACT preparation, connection with a mentor teacher, and earning a Jenison Public Schools diploma to name a few. Students also have the opportunity to participate in Jenison’s outstanding fine arts programs. Students looking for an alternative educational experience may also be encouraged to know that Jenison International Academy plans monthly outings to allow students to build community and enrich the overall learning experience. This year JIA has enjoyed volunteering at Mel Trotter, visiting a local radio station, ice skating at Christmas, tailgating at JHS football games, and visiting ArtPrize in the fall. Activities and updates are shared using Facebook and Twitter. JIA director, Mrs. Rebekah Redmer, is proud of the tremendous academic achievement of the academy, and feels their success is the outgrowth of the three years of planning and research done by the district before launching. If you or someone you know is interested in a different kind of educational experience, Jenison International Academy would welcome a conversation. Call Colleen at 616.457.8477 or check out their website at www.jia.jpsonline.org. School is changing and Jenison is changing with it. 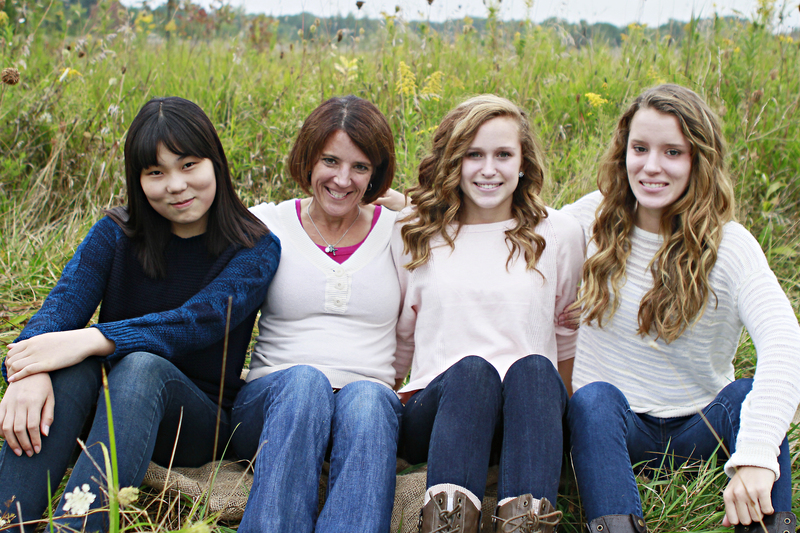 If you have a student ready for change, we hope you’ll consider Jenison International Academy.